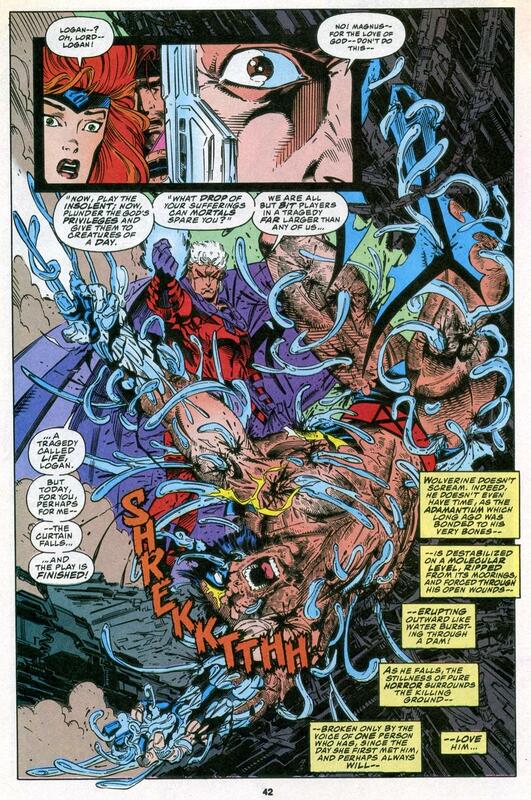 The Mutant Massacre storyline from Chris Claremont’s legendary run on Uncanny X-Men remains fondly remembered by X-fans of the mid-1980s. Marvel collected it recently in a 320-page The Mutant Massacre. 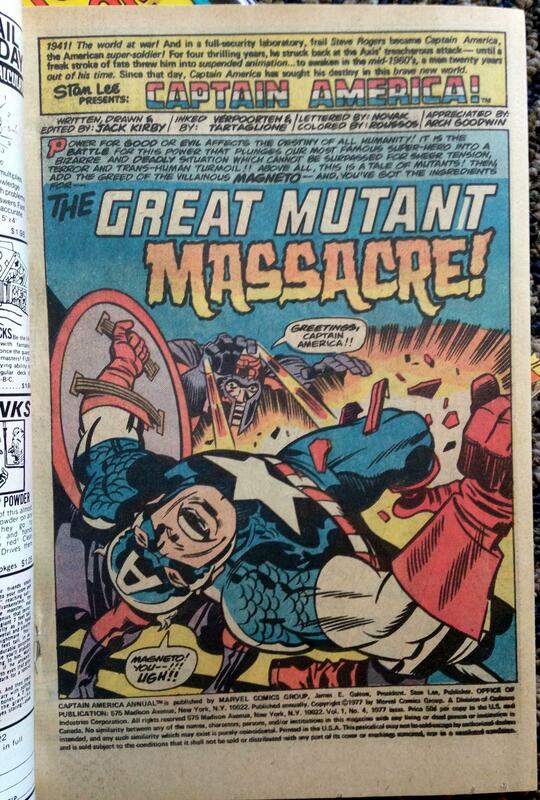 But before the X-men, Captain America faced the original mutant massacre in Jack Kirby’s Captain America Annual #4. 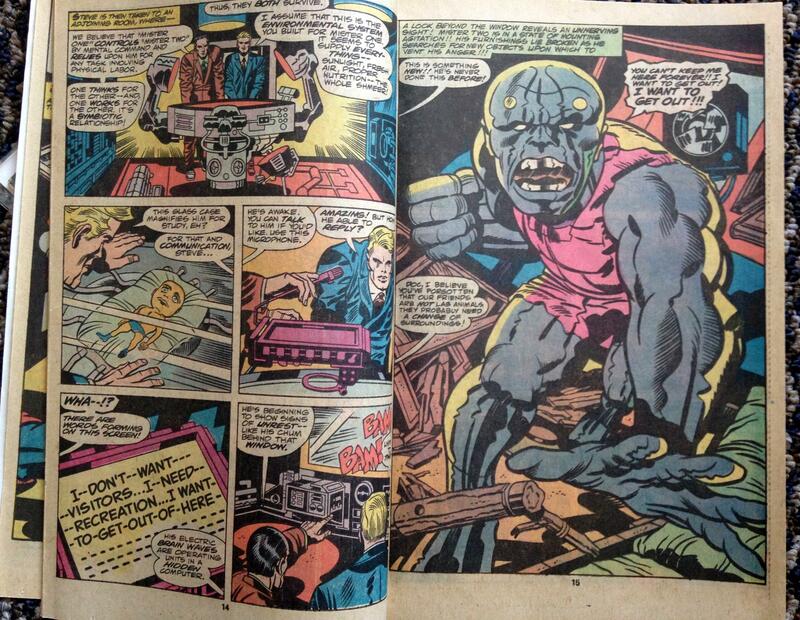 Magneto plays the villain here, with the fate of a horrifying but sympathetic mutant driving Kirby’s plot. 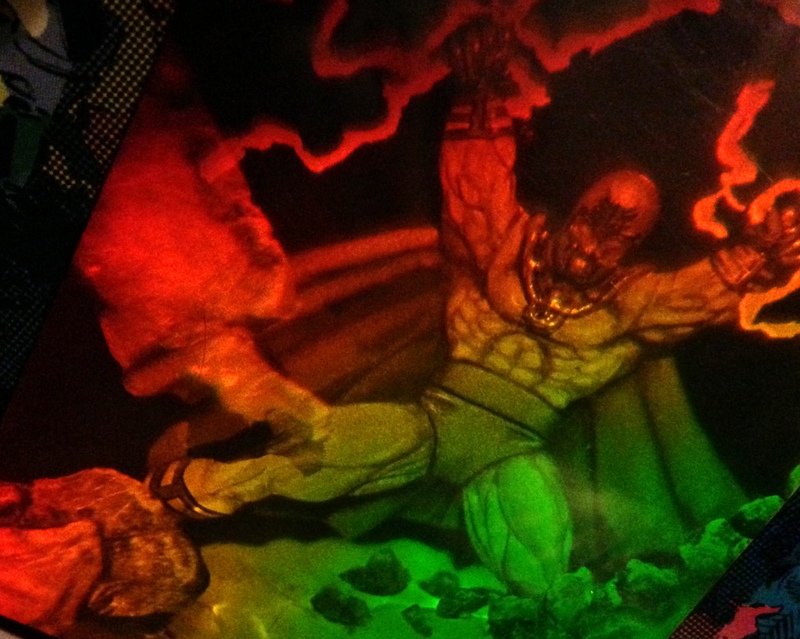 Conceptually and visually, Annual #4 has much to offer. Just look at these splash pages! 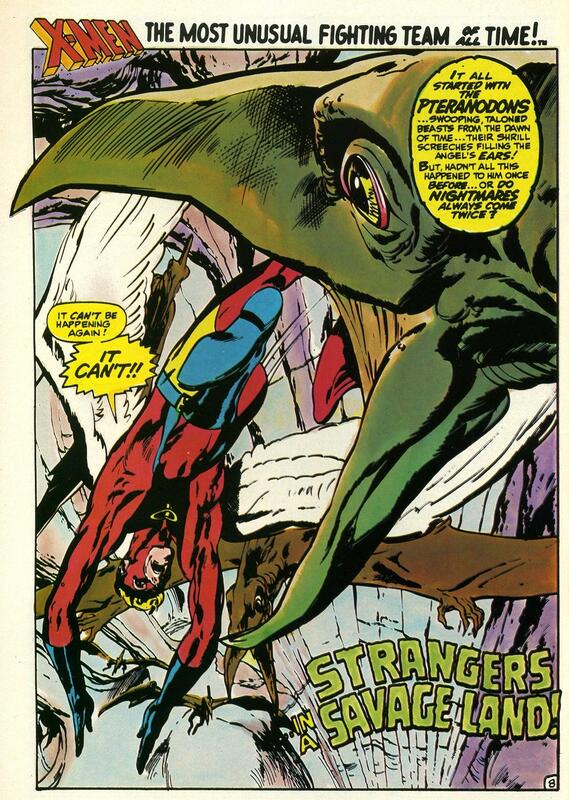 On the other hand, Kirby’s Captain America run in the 70s did little with Cap as a character. In this and other Kirby Captain America stories, Cap functions as a pretty generic action hero. 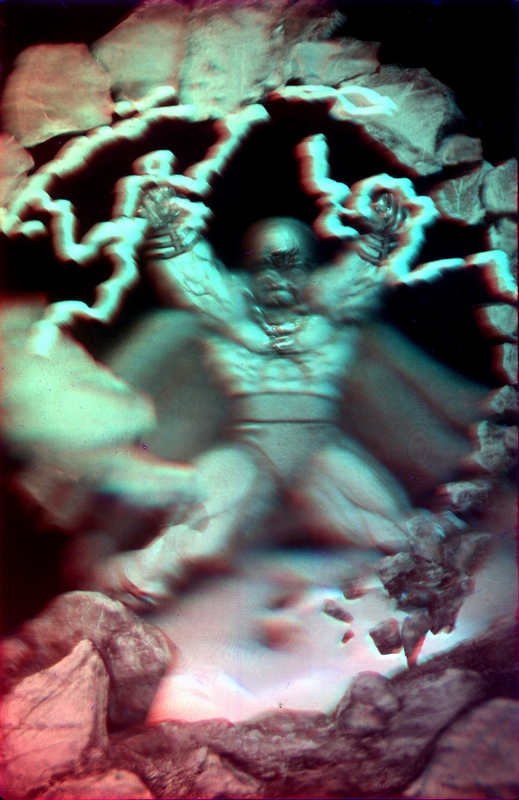 The interest lies in Kirby’s penchant for exploring mind-blowing science fiction concepts, and rendering them as no one else can. Not nearly as far-reaching in scope and consequence as Claremont’s mutant massacre, Kirby’s The Great Mutant Massacre nonetheless planted the seed. Perhaps it even laid the foundation for Claremont’s development of widespread societal hatred of mutants in his stories. 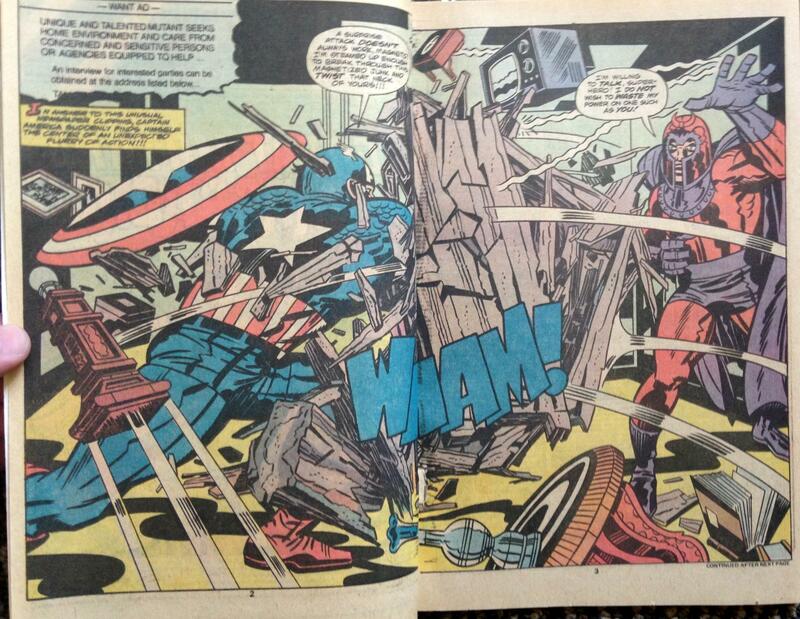 Would we have Days of Future Past without Kirby’s oft-forgotten Captain America Annual? Pick up a copy and judge for yourself! We Can Fly and Swim and Leap! 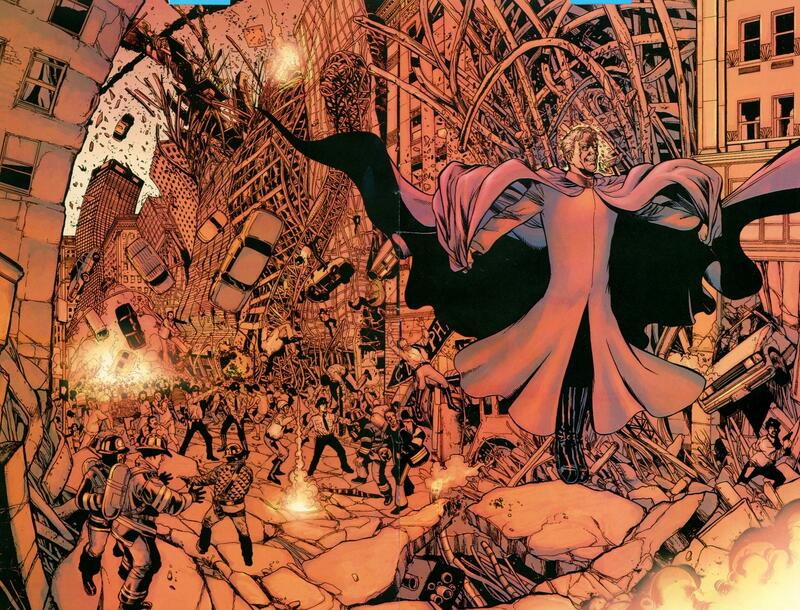 Phil Jimenez draws Magneto like the crimson king of evil or something. WOW! Double Splash Panel coming right up! 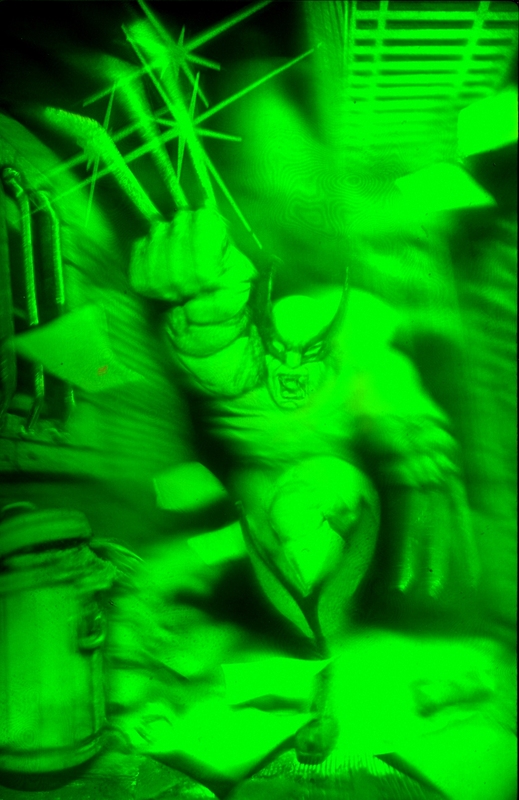 – originally printed in X-Men #147 under the title New X-Men by writer Grant Morrison. Art by Phil Jimenez. These Images are Inappropriate for the School! 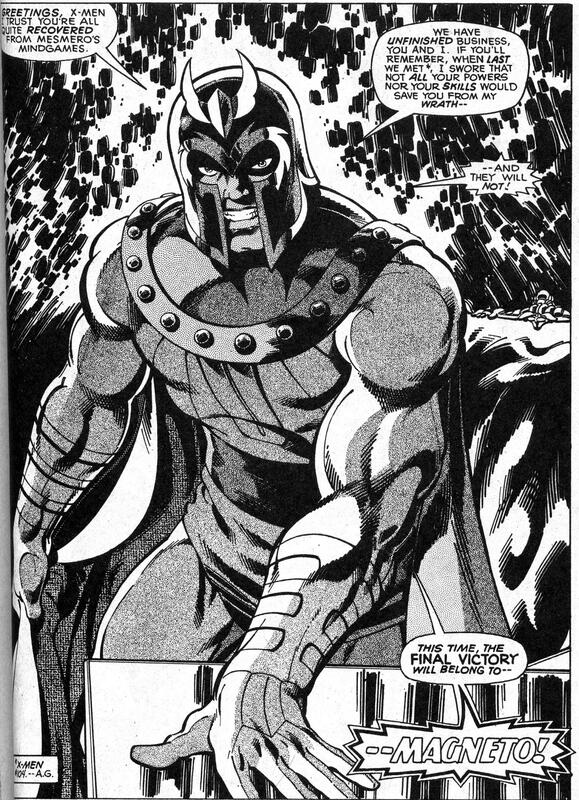 Magneto’s had a lot of interpretations by different authors over the years. To some writers, he is a victim of the Nazi death camps of the 1940s. 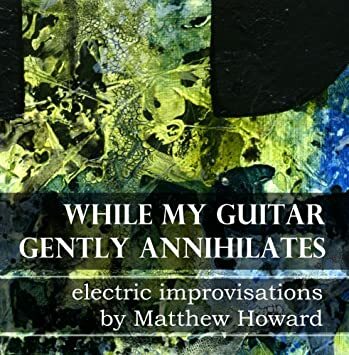 In these stories he is painted more sympathetically, as a man who has been at the bad end of racial hate, defending his newly emerging species from that same hate. 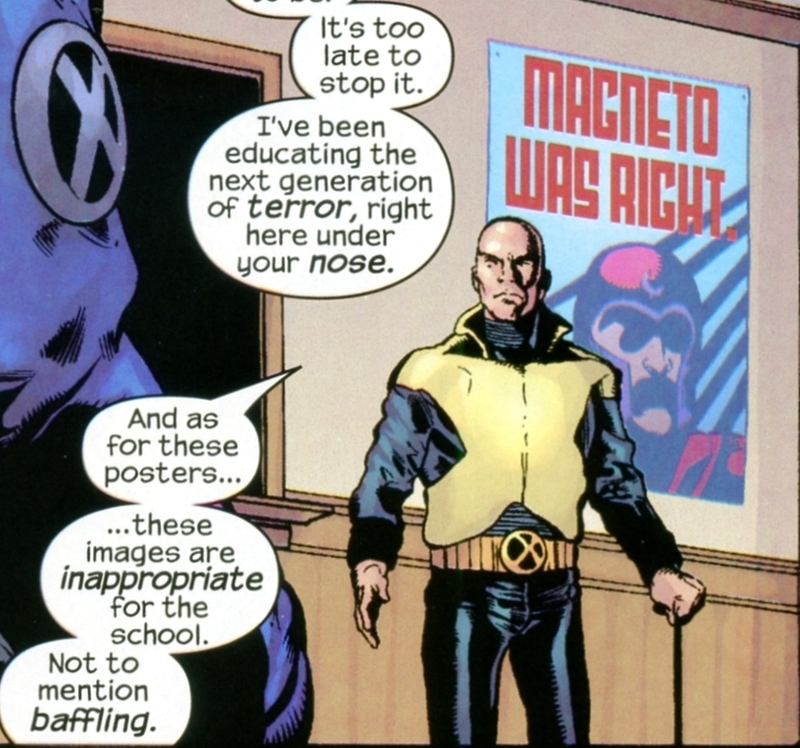 We like that Magneto, even if his arrogance always trips him up. Other times, he’s just a kill-crazy power-tripping egomaniacal jackass. That’s how Grant Morrison paints him in New X-Men anyway. 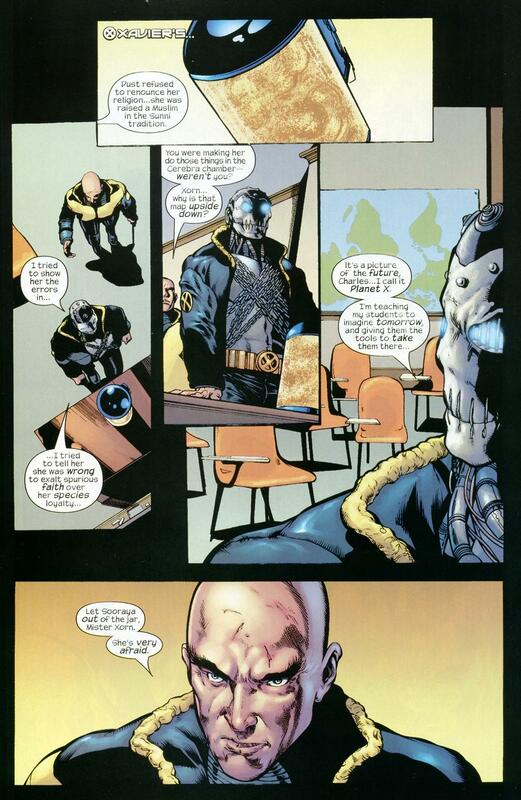 – Originally printed in X-Men #146 when it was being published under the title New X-Men by writer Grant Morrison. Art by Phil Jimenez.